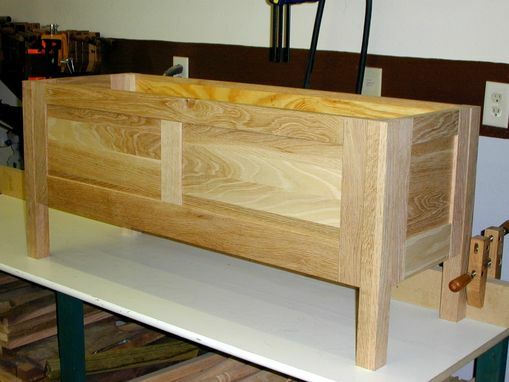 This oak blanket chest is large enought to store blankets and other keepsakes. 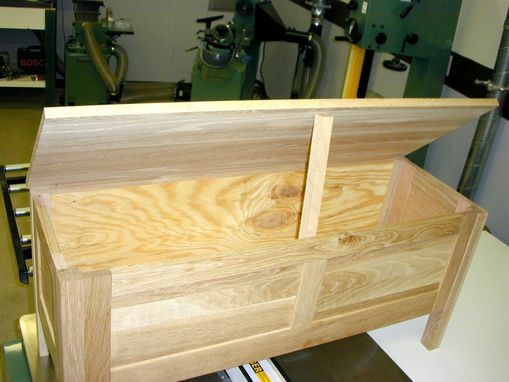 Frame and panel construction was used throughout the piece while the lid is attached with a long continous hinge. 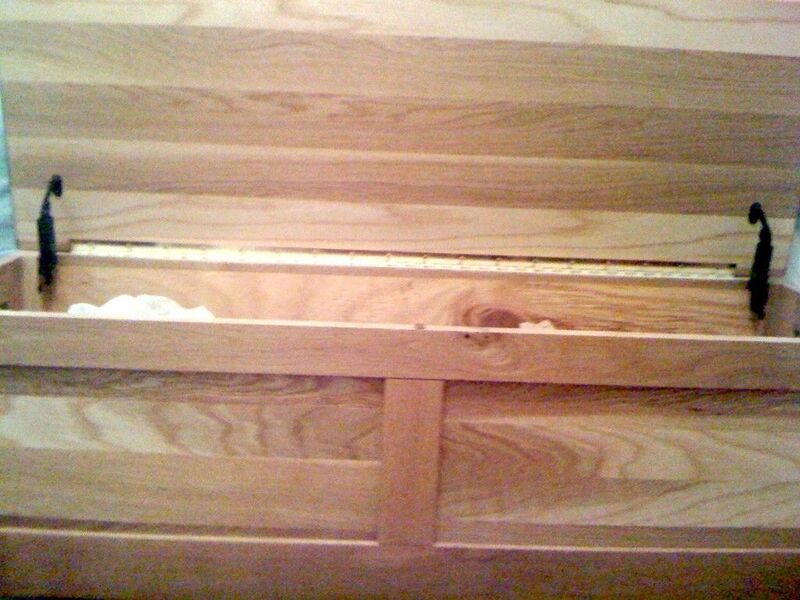 Additionally, a pair of lid supports adequately holds the lid up and keeps it from closing accidentally. 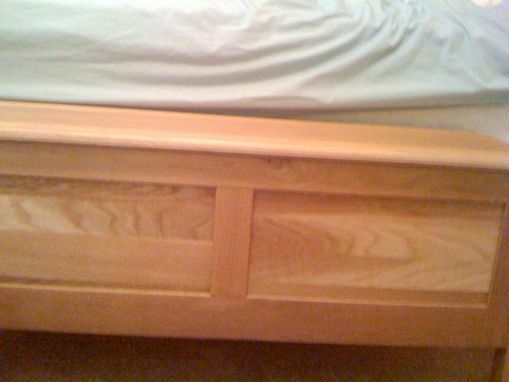 The blanket chest was hand rubbed with a 50/50 mix of Danish wood oil and a satin finish polyurethane. Liquid wax was then hand rubbed on the piece to give it a low luster shine. Dimensions: Approximately 18" deep x 54" long" by 22" tall.